Alastair Donaldson is a Reader and EPSRC Early Career Fellow in the Department of Computing at Imperial College London, and a Software Engineer at Google. At Imperial he leads the Multicore Programming Group, investigating novel techniques and tool support for programming, testing and reasoning about highly parallel systems. At Google he leads a group within the Android Platform Graphics team specialising in automated testing of graphics drivers, building on research work he pioneered at Imperial and commercialized via the GraphicsFuzz spin-out company, which Google acquired in 2018. He was the recipient of the 2017 BCS Roger Needham Award, has published 80+ articles on programming languages, formal verification, software testing and parallel programming, and coordinated the FP7 project CARP: Correct and Efficient Accelerator Programming. 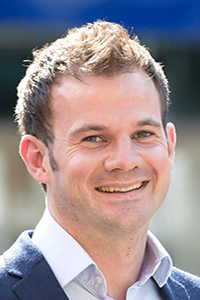 Alastair was previously a Visiting Researcher at Microsoft Research Redmond, an EPSRC Postdoctoral Research Fellow at the University of Oxford and a Research Engineer at Codeplay Software Ltd. He holds a PhD from the University of Glasgow, and is a Fellow of the British Computer Society. Graphics drivers control the displays of billions of smartphone, tablet, laptop, desktop, smart TV and games console devices around the world, and play an increasing role in powering safety-related devices in domains such as medical imaging and autonomous driving. Graphics drivers are complex components living at the hardware/software boundary, and they need to be simultaneously reliable, secure and highly performant. Since 2014 I have been leading research into methods for automatically testing graphics drivers in order to find defects as early as possible, with minimal human intervention, so that problems can be fixed before they affect end users. This started as a research project in my Multicore Programming Group at Imperial College London, led to me forming a spin-out company, GraphicsFuzz, and now continues in my team within Android Platform Graphics at Google, who acquired GraphicsFuzz in 2018. In the talk I will first give an overview of the metamorphic testing technique that underpins the GraphicsFuzz approach, and will then discuss some of the most exciting challenges and open problem I see related to (a) applying these techniques in more depth and at grater scale, and (b) transferring them to apply to other domains where rigorous testing is in demand. Gert Veldhuijzen van Zanten has been interested in language design and natural languages for over 30 years. After graduating in computer science in 1988 and getting his PhD in the field of compiler construction, he worked on an NWO project on spoken dialogue systems. He switched back and forth between the industry and academia, and since 2005 he has been working with model-driven software engeneering and domain specific languages. At the Dutch Tax Authority (Belastingdienst), he is one of the driving forces behind the use of DSLs for the development of the Toeslagen (benefits) system and recently the new computation service for the Income Tax application. For agile tax law execution it is vital to have a streamlined process in which software systems used for law execution can be easily changed. We use a controlled natural language DSL to make specifications of the law. This language combines intuitive and formal meaning, so that law experts can write rules and validate them, and so that tooling can be used for analysis and for the automatic transformation to executable code. Validation is done by applying the rules to concrete example cases, comparing the results with expectations, and by explaining the results in terms of the rules that have been applied.